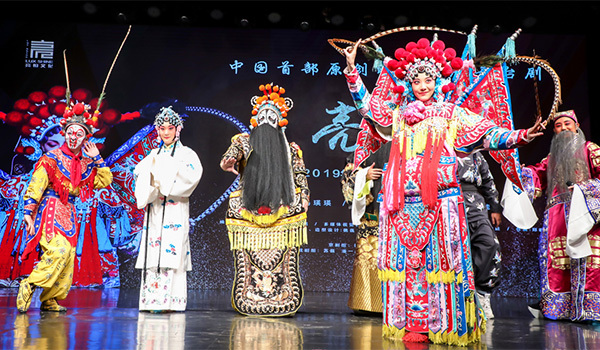 The reopening of an old theater in Beijing may mark a revival for Peking Opera, especially with shows infusing contemporary elements such as hip-hop and ballet, Chen Nan reports. The grey-brick Tian Le Yuan Theater in the capital's ancient Qianmen area has served as a stage for creative culture since 1785-and will reopen in March, after six years of renovation. Peking Opera master Mei Lanfang (1894-1961) performed there for four years, starting from age 17. Cheng Yanqiu (1904-58), who shared the title of the four great dan roles with Mei, Shang Xiaoyun (1900-76) and Xun Huisheng (1900-68), premiered four of his classic Peking Opera shows there from 1923 to 1927, including The Legend of Hongfu and A Red Mole. The famed artists were performers of nandan-that is, men who played female roles because women were then forbidden to appear onstage. The theater also produced one of the country's first female Peking Opera troupes, Chong Ya She, in 1916. Tian Le Yuan will present a new Peking Opera show, Liang Xiang, as its resident performance. The show will debut at the Tianqiao Performing Arts Center on Jan 18 and run through Jan 20 before moving to Tian Le Yuan. The 5,000-square-meter Tian Le Yuan Theater will also host exhibitions of historical photos and other displays about Peking Opera. Visitors can don stage costumes and makeup. Tan Zhengyan, who belongs to the seventh generation of the distinguished Tan family in Peking Opera, will open the show, playing the role of Guan Gong, a legendary and mythical figure worshipped by many Chinese as a symbol of safety and wealth. The new show tells the story of a struggling 1930s Peking Opera troupe that has survived until today. Classic Peking Opera pieces such as Farewell My Concubine and The Drunken Concubine will mix in contemporary performance arts like hip-hop and ballet. "I am prepared for different reviews-positive and negative," Tan says. The 39-year-old started learning the art form as a child and has performed with the Jingju Theater Company of Beijing since 2001. Jingju refers to Peking Opera in Chinese. Members of the Tan family, which began to flourish in Peking Opera circles in the 18th century, are known for playing laosheng (elderly male) roles. The reopening of an old theater in Beijing may mark a revival for Peking Opera, especially with shows infusing contemporary elements such as hip-hop and ballet.